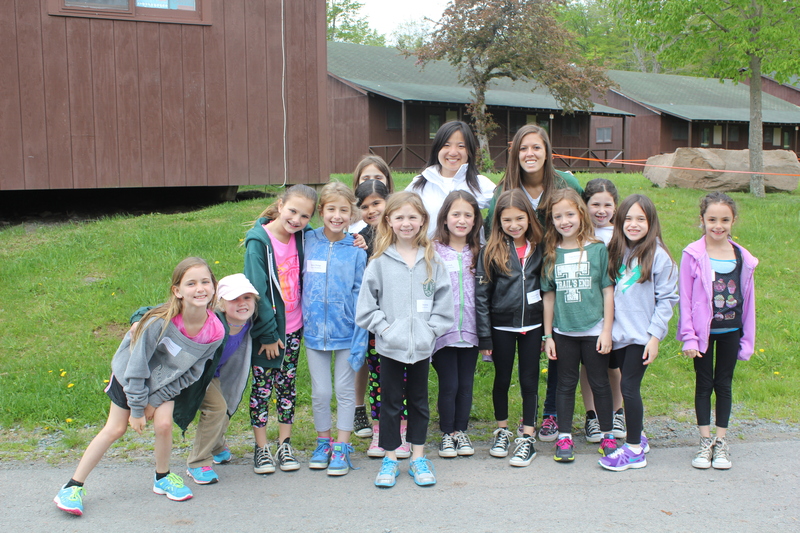 Spring is one of the most exciting times of the year for our 1st time campers. 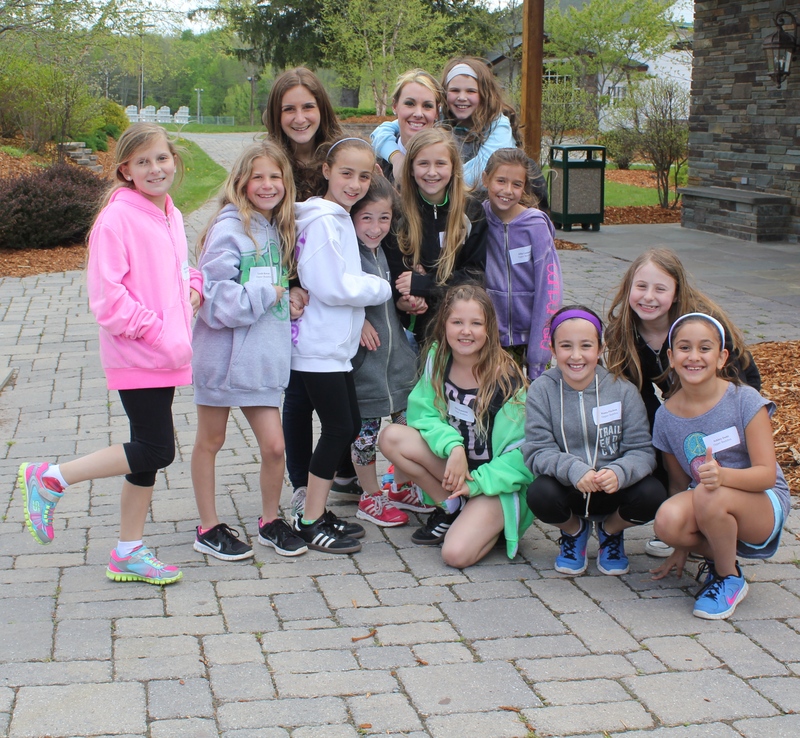 By this time, they have started to buy their camp clothes, have had playdates with potential bunkmates and have spent hours talking about the summer of 2014. We have even heard that some campers start off each day by putting another X on a countdown calendar. 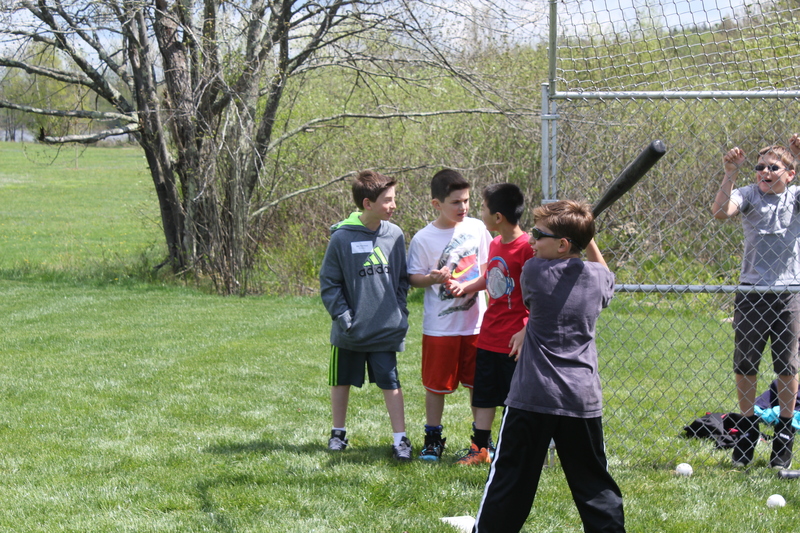 Last weekend, we had a chance to spend the day with our 1st time campers at our Annual Spring Fling. 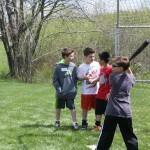 The day was perfect and helped to build the comfort and confidence needed to succeed during their first summer. While the campers were exploring Trail’s End, Marc, Stan and Ryan ran a new parent workshop that answered many of the last minute questions. We then had a Trail’s End barbeque complete with our famous TEC chocolate chip cookies. 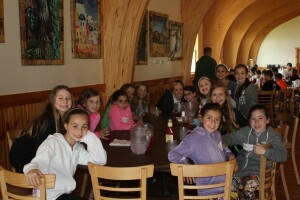 Once we finished lunch, it was time to play camp. 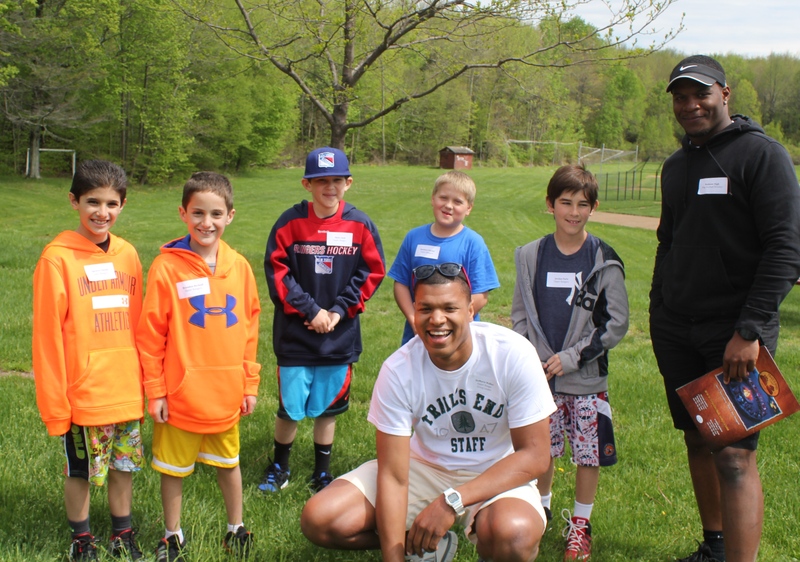 Campers got a glimpse as to what’s in store for them this summer as they participated in some of our favorite camp activities including flag football, gymnastics, wiffle ball, and basketball. The Gaga pits and Kan Jam courts were open for the first time and needless to say, they are going to be a HUGE hit this summer. 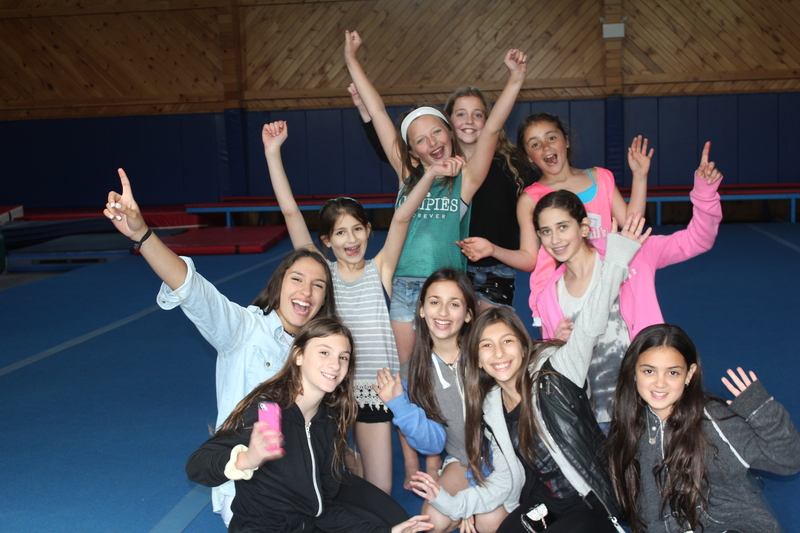 It was amazing to see the campers and staff’s enthusiasm this weekend. Only 36 more “Xs” on the calendar and the summer of 2014 will arrive. 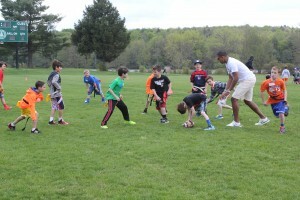 This entry was posted in Camper, News, Reunions, Staff and tagged 18405, 2014, Camp Family, Camper, Connections, Events, Family Affair, Flag Football, gaga, Reunions, reunited, Staff, Summer Camp, TEC, Trail's End Camp on May 23, 2014 by Sara Fetterhoff. In the second part of the two part Trailblazer series you will meet Remy, Ben, Jordan and Teddy. They will explain what it means to be a part of Trail’s End to them and how camp and their friendships have shaped who they are today. I am a freshman at Muhlenberg College. 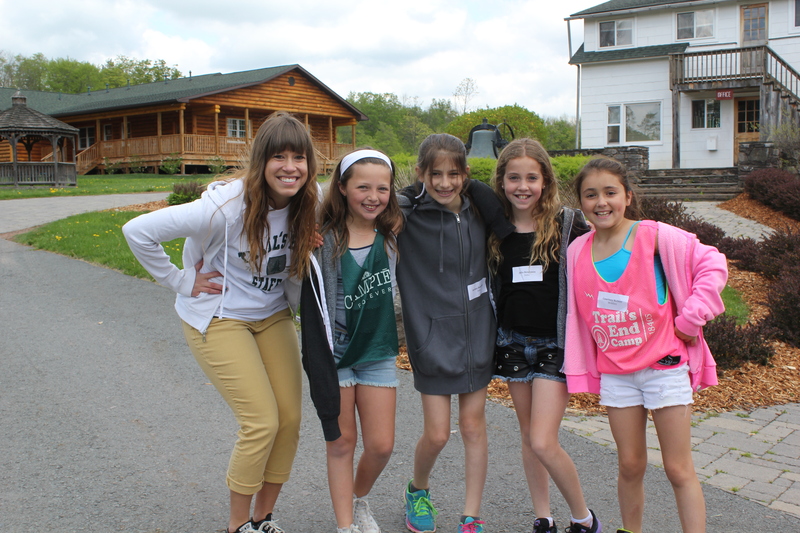 In my time spent at Trail’s End, I have grown from a shy little girl into a confident leader in my community. 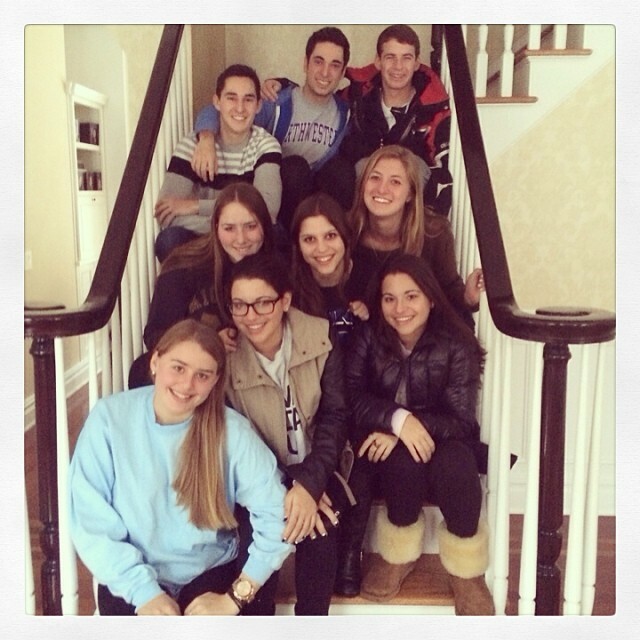 When I was a First Year, I became friends with the 8 most important people in my life. They taught me the true meaning of friendship. I attribute so much of who I am to my friendships with them. These people taught me how to be the best version of myself. Without the guidance from my friends, I would be lost. 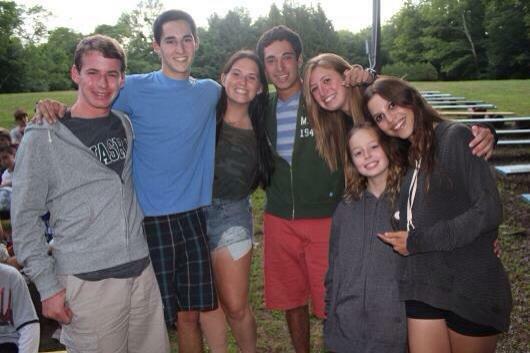 All in all, my camp friends are the most amazing, genuine, caring, accepting, and funny people I know. The 9 of us have been through so much together. We really have each other’s backs. Our bond is something that very few people have and we are so beyond lucky to have each other. There is not a day that goes by that we don’t talk to each other. 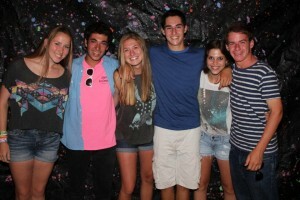 I know that my camp friends are going to be my best friends for the rest of my life. 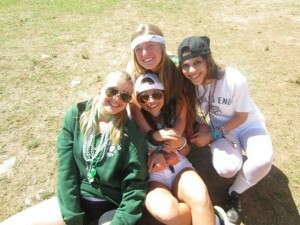 I think camp definitely has had a huge impact on all of our lives, as well as our friendship. 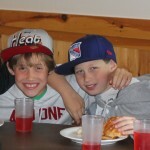 In my opinion, a friendship fostered at camp is unlike any other type of friendship. 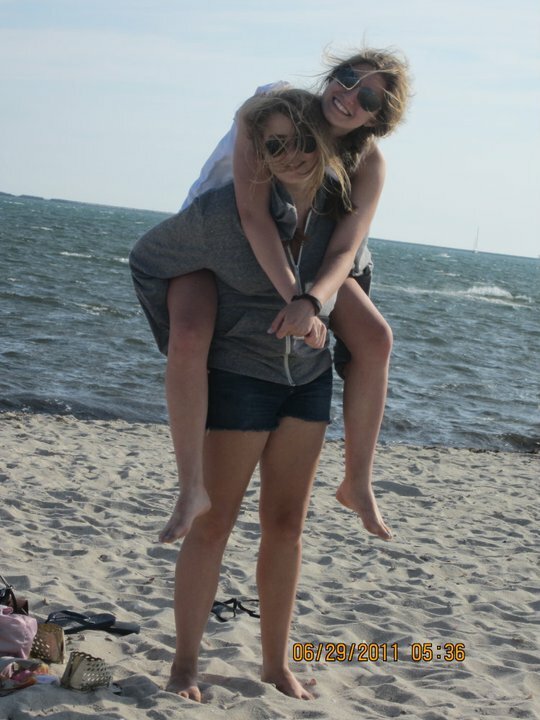 Our undying affinity for our summer home will keep us linked together forever. We each started our Trail’s End experience as strangers and now, years later, we are a family. 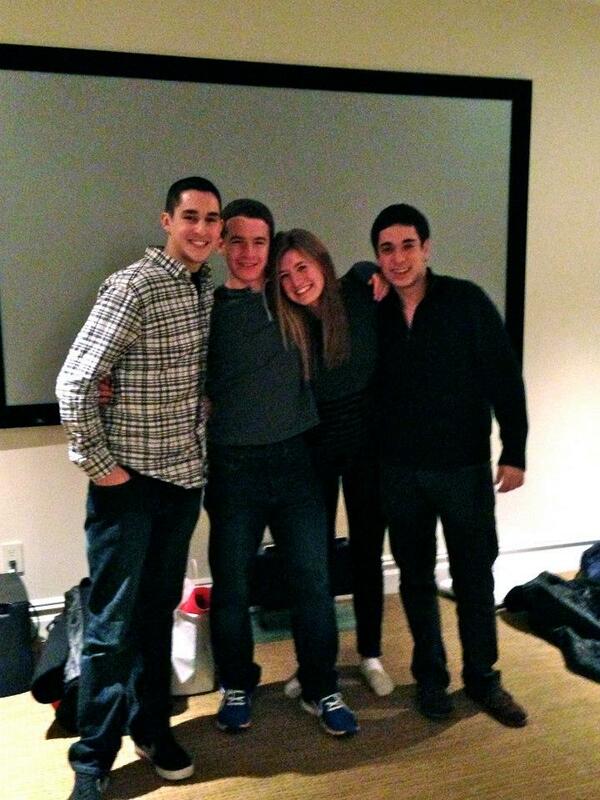 I’m a freshman at Northwestern University. 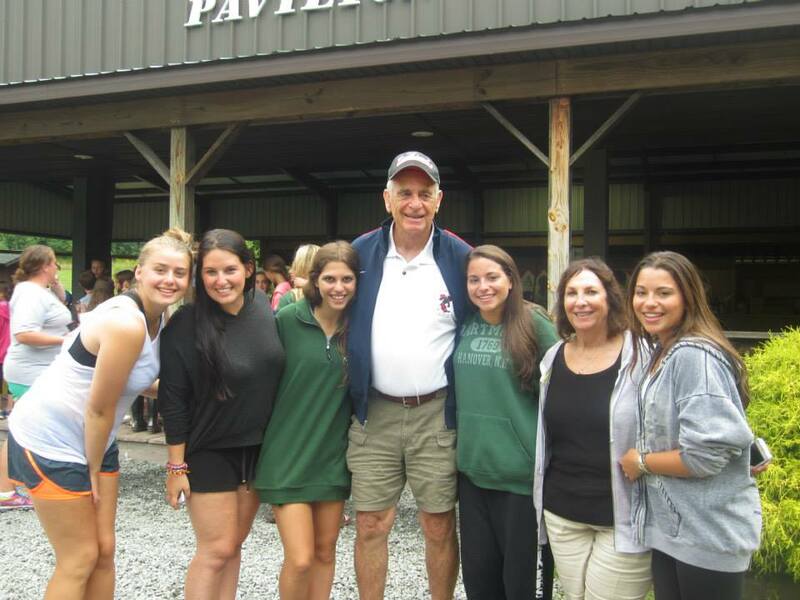 Camp has provided me with some of my most favorite and cherished memories. My camp friends are people that I could always turn to when I need advice outside of the same old people from home, or even just a good laugh. We find ourselves constantly talking, asking each other for tips on how to be the best counselor we can be. Now that we’re all in college, it’s easy to get caught up in our own busy lives. 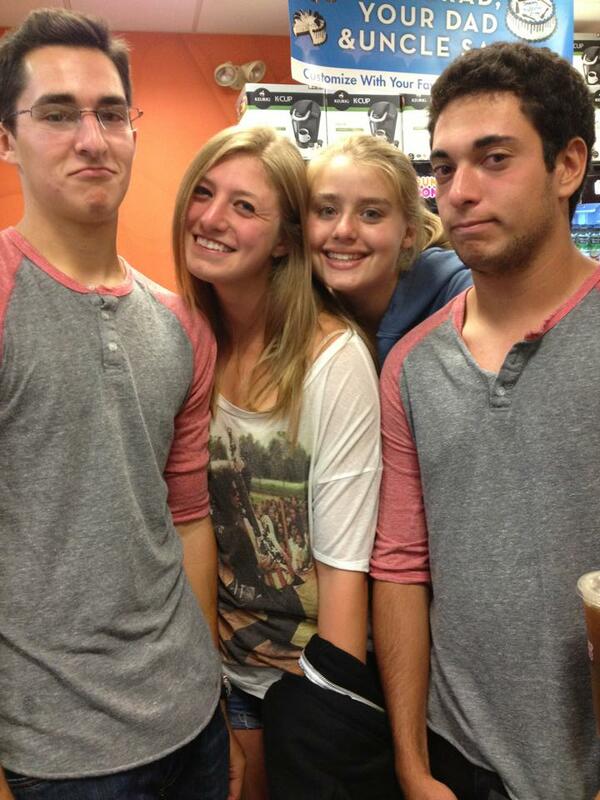 We all try to see each other at least once or twice throughout the year over breaks from school. When we can’t all be together, we all have a group chat on our phones that’s constantly buzzing—it’s our way of getting our dose of each other and camp year round for the 10 months that we can’t be at Trail’s End. Teddy and I frequently agree that though we may have come to camp without siblings, today we’re so thankful to have this group of true brothers and sisters. I am currently a freshman at the University of Michigan. As cliché as it sounds, camp to me is the foundation of my entire life up until this point. It is the place where I learned to break out of my shell, held my first of many leadership opportunities, and of course, found my best friends. It is the root of all of my confidence and has honestly changed my life. 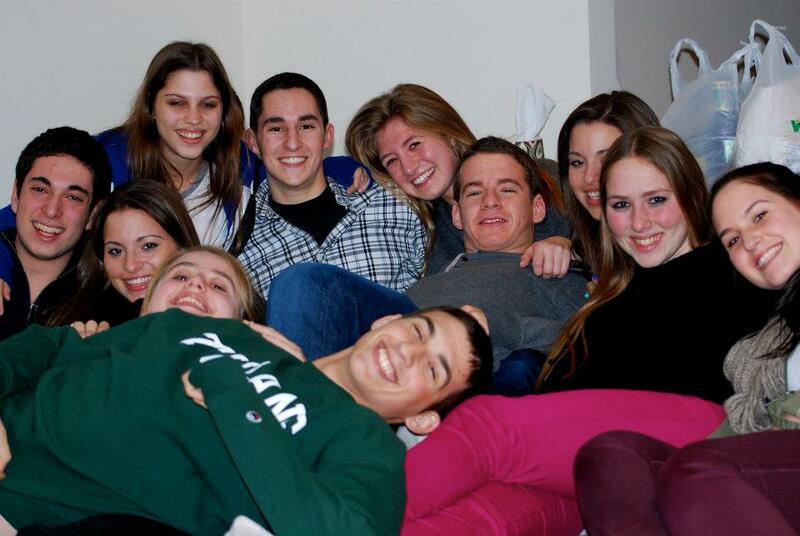 I was fortunate enough to have a solid group of friends to always turn to. 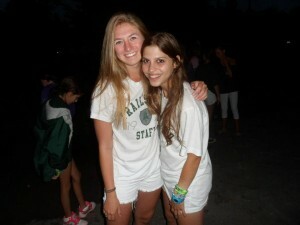 My camp friends always had my back no matter what, and were always there for me with a smile, a hug or a word of advice. 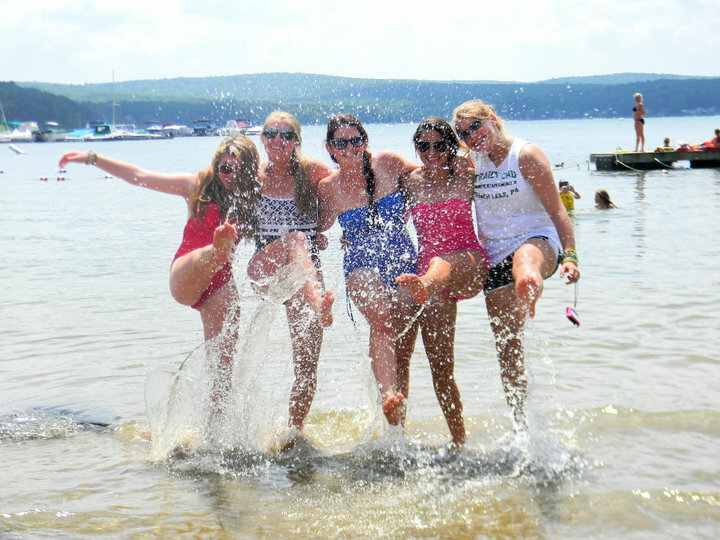 As much as I love my home friends, the bond you share with your camp friends is genuinely unlike any other. My camp friends are my backbone as I dealt with the transition from camper to counselor and the responsibilities that came along with it. 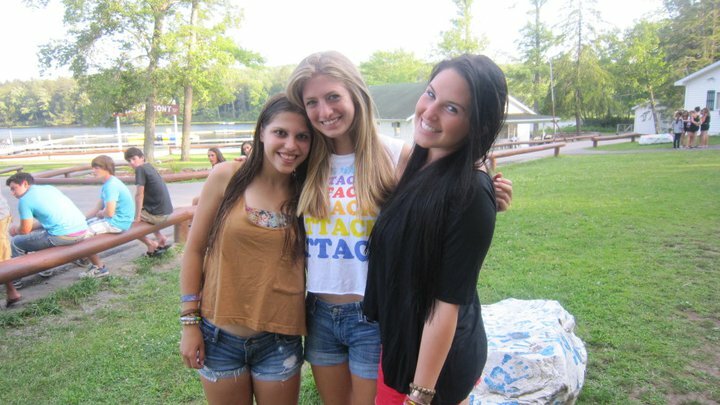 I am truly better for having met them and spending my summers at Trail’s End. I’m a freshman at Duke University. 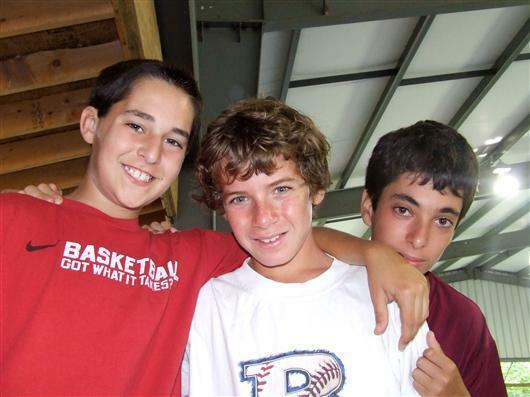 I started as a Lower Buddy in bunk 1 in 2003 and can’t even remember summers anywhere but Beach Lake, PA. Now it’ll be my 12th summer, 3 as a counselor, and I don’t know where I would be without my camp friends. 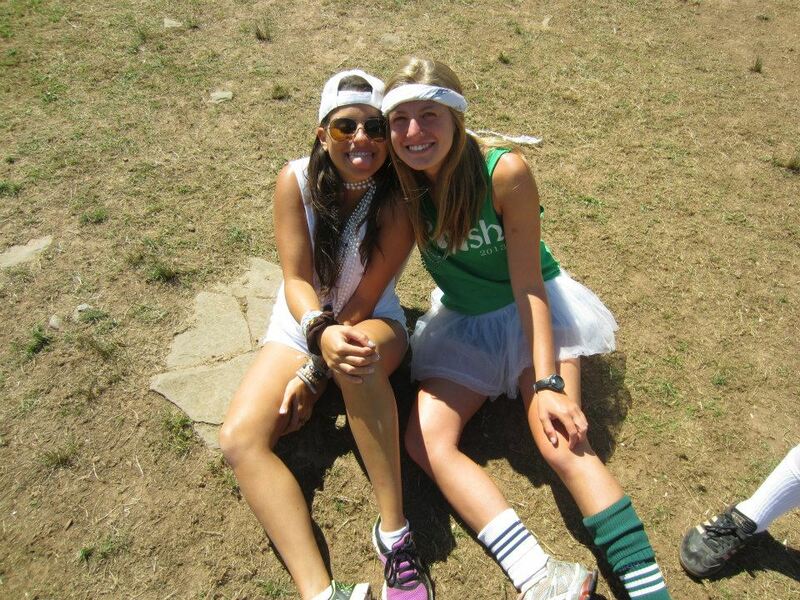 Being a camper for nine summers was the best and I loved every second of it. Heading into my 3rd year as a staff member, I think it’s amazing to be the one to help my campers have as great of a summer as I did when I was in their shoes. 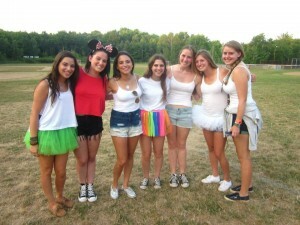 I count down the days to camp, especially to see my campers and my best friends. 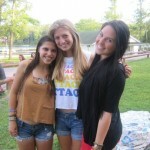 At home, I’m known as the camp girl always wearing her camp apparel and talking about her camp friends. 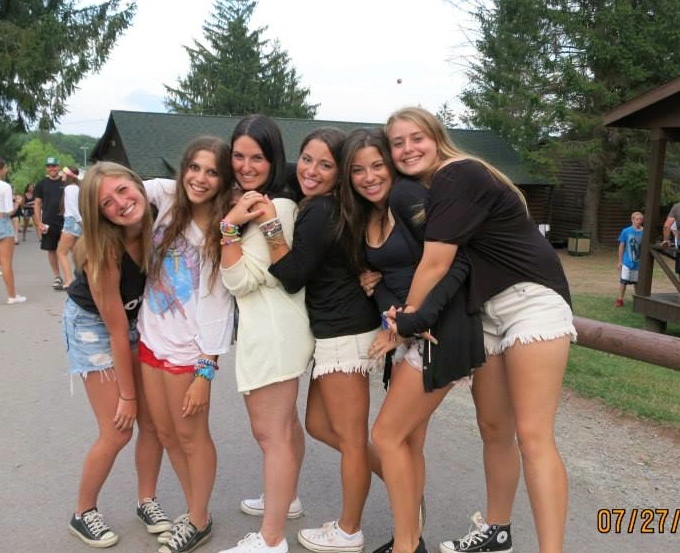 It’s all because at camp I’ve really met my best friends and the people who know me better than anyone else – I don’t know what I would do without them. I’m so lucky to have ended up at Trail’s End and met the people I have. I am currently a freshman at Washington University in St. Louis. 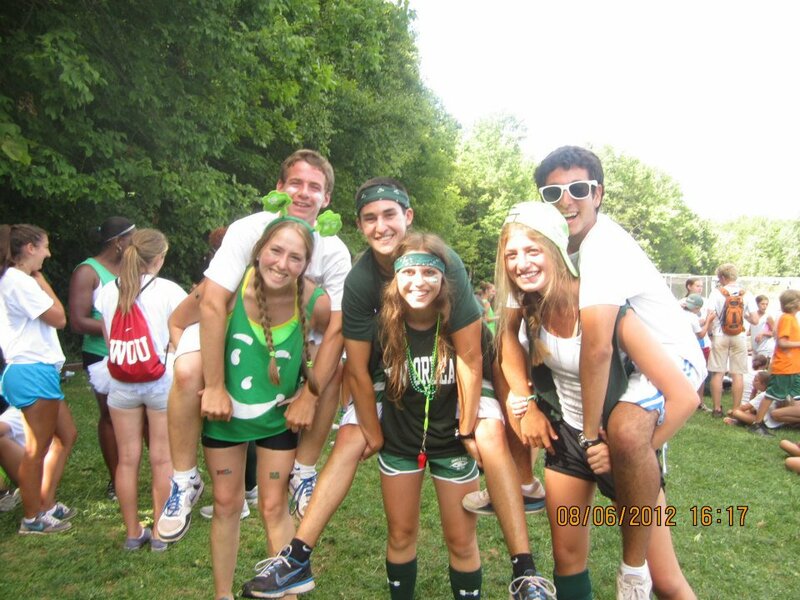 Without being too corny, camp is my life. 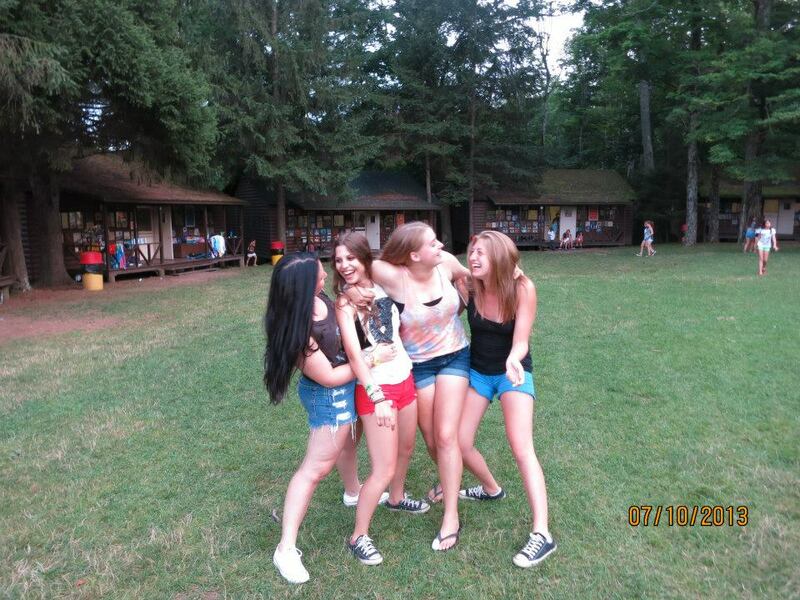 All of my favorite memories and best friends come from camp. I started going to Trail’s End when I was 9 years old, not knowing a single person there. My first summer I was put in a bunk with David. 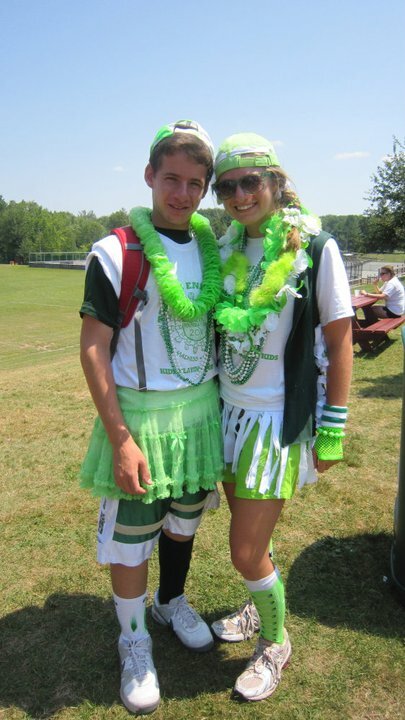 Two years later, Bass came to camp and our friendship has been unbreakable since. I remember sitting at candle lighting the last night of camp LT summer, looking around thinking how unbelievably lucky I was to be a part of that and how I could never imagine not being with my best friends. 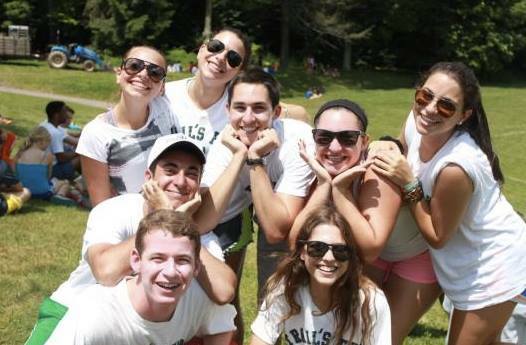 Transitioning into being a counselor was seamless for me because I always looked at it as just more opportunities to stay attached to the place and people that I love. As for Bass and David, they are the two best friends that I have. I speak to at least one of them on a daily basis and I couldn’t imagine where I would be without them. One of the most special things we have done is create a group chat with all of our other friends that we post in on a daily basis. There is nothing better than checking my phone and seeing it light up with camp friends. 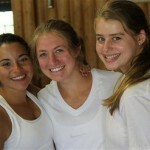 Camp to me is a place that makes me feel special. It is a bigger part of me than anything else in my life. The memories I have made there have given me confidence throughout high school and now into college. This entry was posted in Alumni, Camper, News, Reunions, Staff and tagged 18405, 2014, Alumni, Camp, Camp Family, Camper, Connections, Family, Friends, Home, Olympics, Summer Camp, Summer Home, Sunshine, TEC, Traditions, Trail's End Camp on May 16, 2014 by Sara Fetterhoff. Seven Saturdays from now an excited group of first year campers will step off the bus and begin their Trail’s End career. This will be the start of an amazing journey that will carry them from a camper on campus, to Varsity, to a TEC staff member. 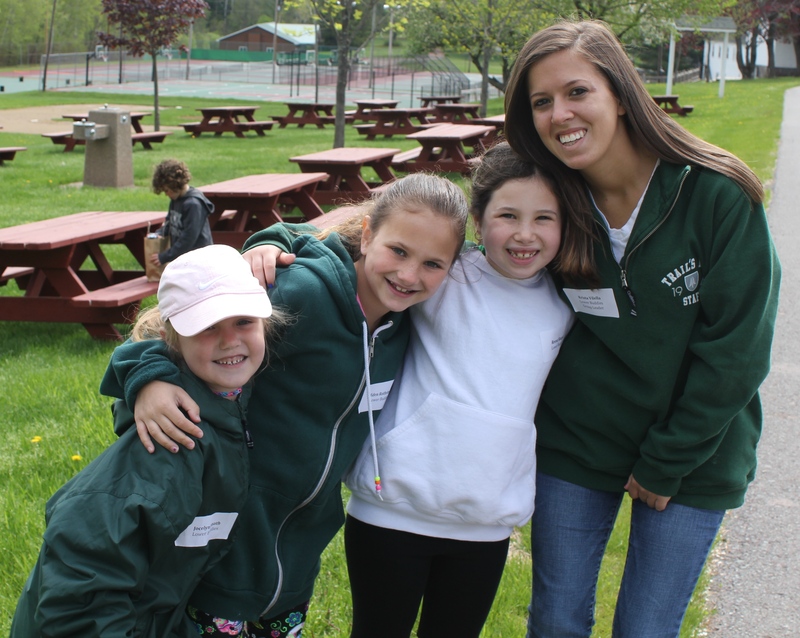 Their experience at TEC will help shape them into the adults that they will someday become, while creating memories and friendships that will last a lifetime. 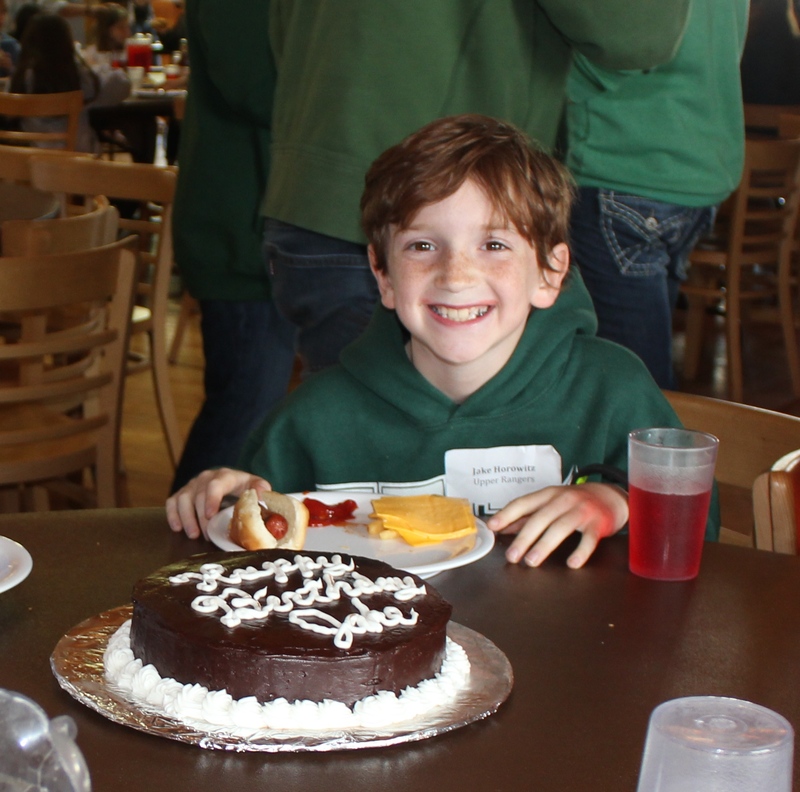 For the past 10 years, we have been fortunate to have a group of 9 friends who have grown up with us and created bonds that epitomize the Trail’s End Experience. In this two part Trailblazer series, we will introduce you to this unique group and allow them, in their own words, to shed a little light on their days at TEC. We are proud of what the Trail’s End Experience has meant to this group and many, many others that have spent their summers with us in Beach Lake, PA.
Years you won Olympics (team and year): Ukraine 2006, Turkey 2007 and India 2009. I am from New Jersey. I just finished my freshman year at the University of Michigan. 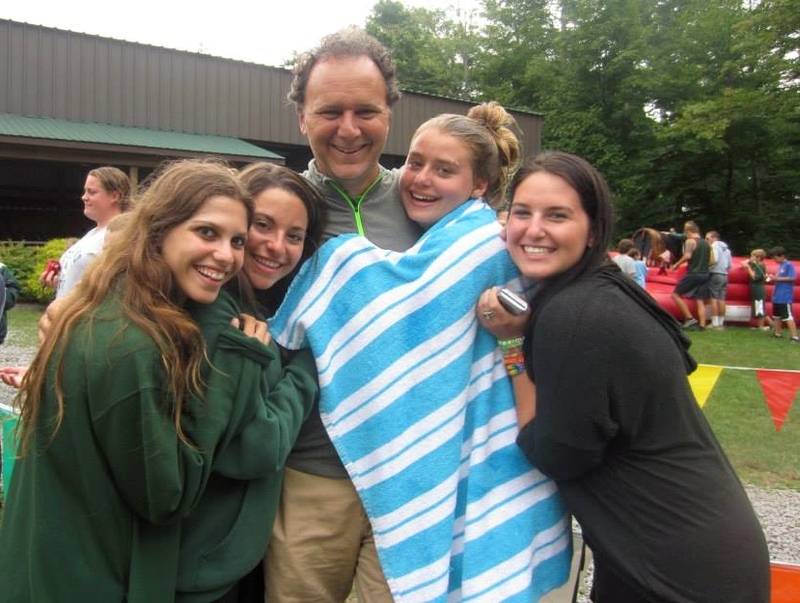 I started camp as an extremely shy and homesick 10-year-old camper and by the end of my first summer, I couldn’t get enough of camp. 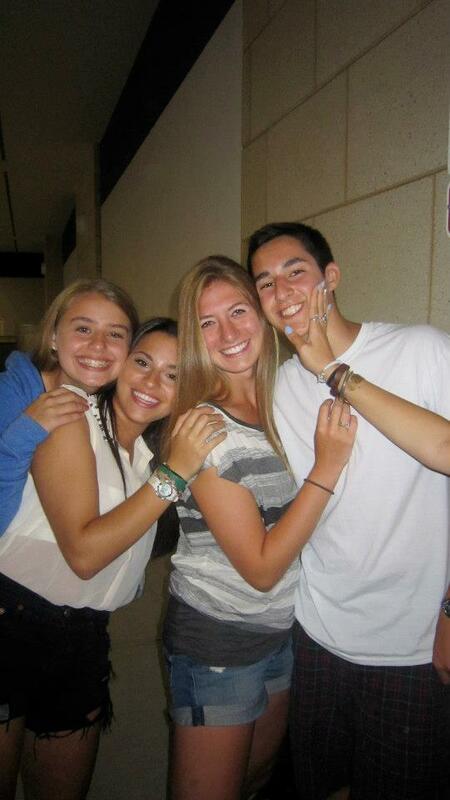 I kept coming back every year until LT summer, which was by far the best summer of my life. I am now going to camp for my 3rd year as a staff member and going on exactly a decade at Trail’s End. 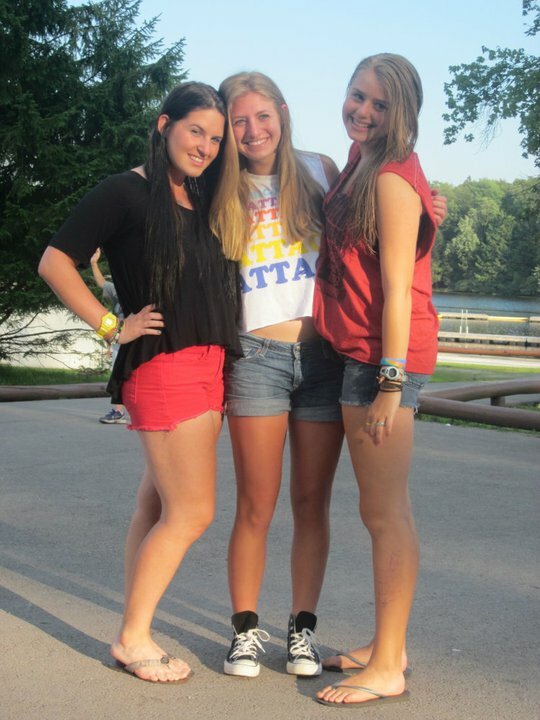 My best friends have been with me through every step of the way and I have the most amazing camp memories with them. 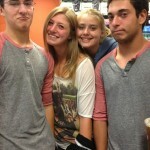 We keep in touch all year long in our group chat and I even go to school with one of them (Jordan Halper). 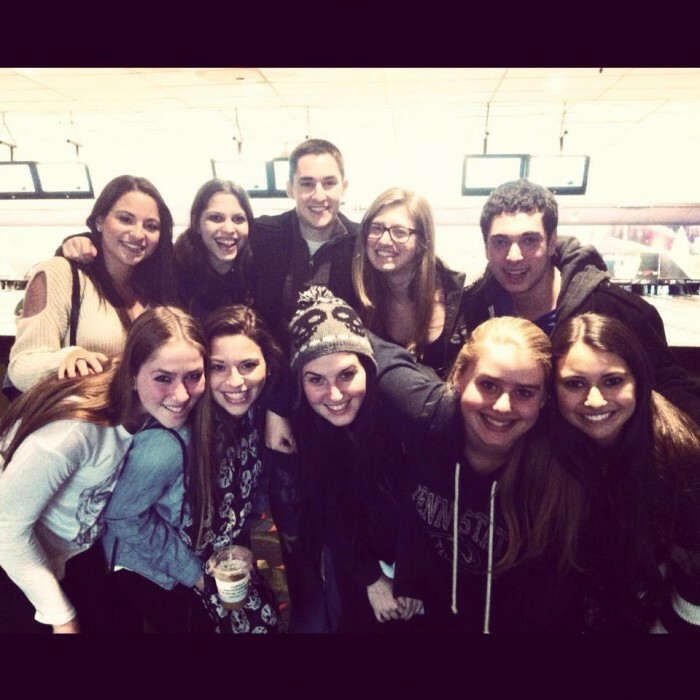 What makes camp friendships so special in general is the sheer amount of time you all spend together. It’s amazing what you can learn about other people when you surround yourself with them everyday for 8 weeks. 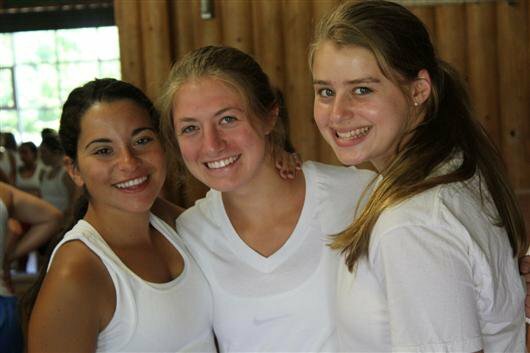 I’ve learned secrets, fun facts, likes and dislikes and so much more; and as cliché as it may sound, my camp friendships are the ones that will last forever. 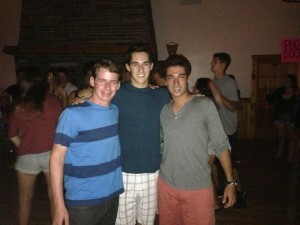 I attend Duke University (with Brett Finkelstein). 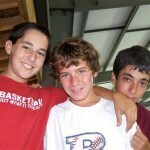 My experience as a camper had its ups and downs. I used to be a shy kid and was definitely very quirky. I wasn’t sure I would make friends. 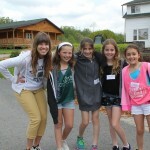 Camp is a place where I’m always comfortable being myself. Varsity was my prime and shaped who I am today. I became a more confident person. 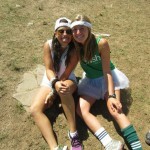 I then became a counselor and to my surprise, my years as a counselor have been my favorite. 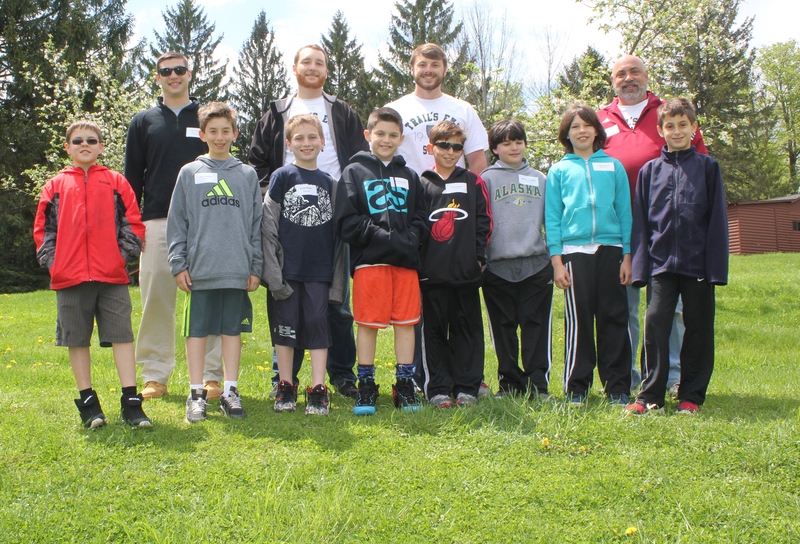 It was time to take responsibility and help younger kids fall in love with camp like I did. I especially love it when my campers ask me about my friends. They all tell me that they hope their friends will be as close as us when they grow up. My friends and I talk all year long. We’re always caught up on each other’s lives and always trying to make plans to see each other. We do the occasional group video chat as per Bass’ requests. We’re so comfortable telling each other anything and I’m sure our friendship will never change. I am thankful for camp bringing them into my life. Favorite Food: I would have to say camp cookies, but for the 10 months of the year when we aren’t in camp I LOVE avocado! I am currently a freshman at Penn State University. This will be my tenth summer at camp, and I can say from the bottom of my heart, that there is no place I would rather spend my summers. 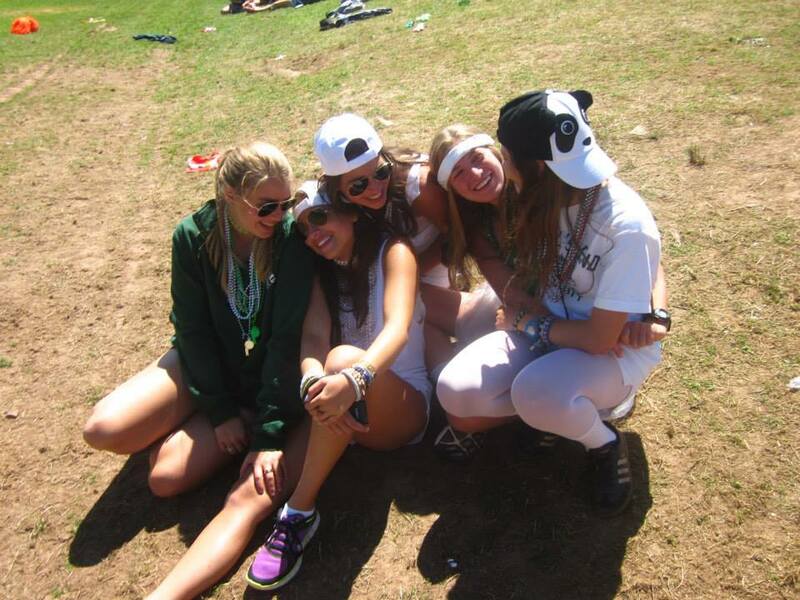 My friends further enhanced the camp experience and helped me learn some of the most important life qualities. I feel comfortable around them, like I am able to be myself, free from the pressures of the outside world. 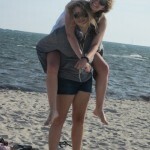 Our friendships are unlike any friendships I have ever experienced. 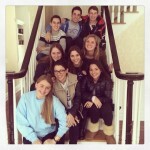 These eight people are truly my best and closest friends. They quickly transformed from my best friends for the 52 days of the year that we were in camp, to my best friends for all 365 days of the year. 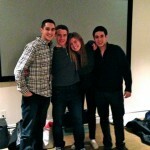 They are the most kind-hearted, selfless, and funny people I know, and I really don’t know where I would be without them. I am so lucky to have them for advice and guidance during the most difficult times. Being at camp with my best friends has made me a better friend, a better leader, and a better overall person, and I truly am better for having been at Trail’s End Camp. Favorite Sports Team: Philadelphia Eagles. 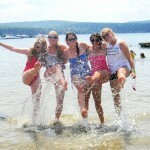 What you look forward to every year at camp: The first day of camp is the most anticipated day of my summer. 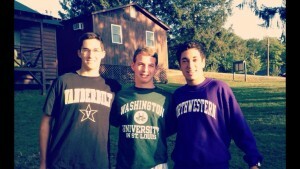 I am a freshman at Vanderbilt University. I’m about to begin my 11th summer at TEC, and looking back, I’ve had some of the best experiences of my life. 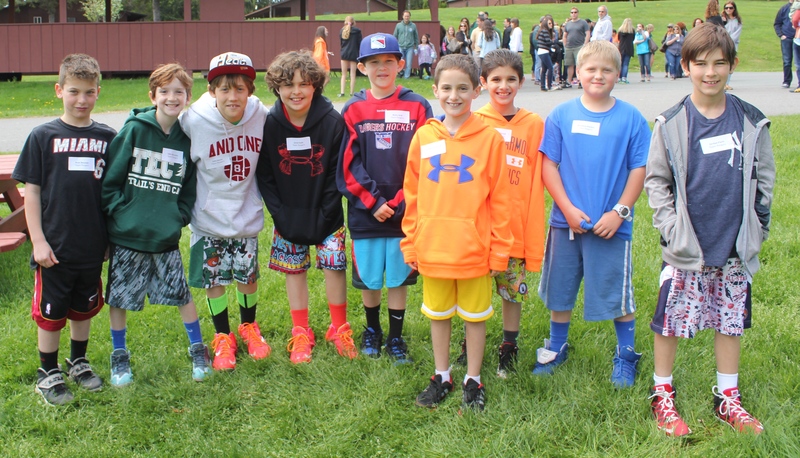 I came to camp knowing only one other kid, but I immediately gained many new friends. 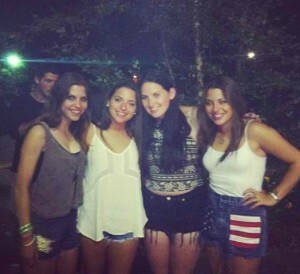 Teddy, Ben and I became friends on campus but once we entered Varsity, the girls joined our tight knit group. 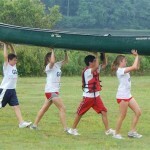 Camp allows each and every camper to step up and become his or her own person, to become a leader. Through the years, I became closer with all of my friends from campus, and made tons of new friends of all different ages. What I like most about camp is I can completely be myself around my camp friends with no fear of judgment, and I can tell them anything. 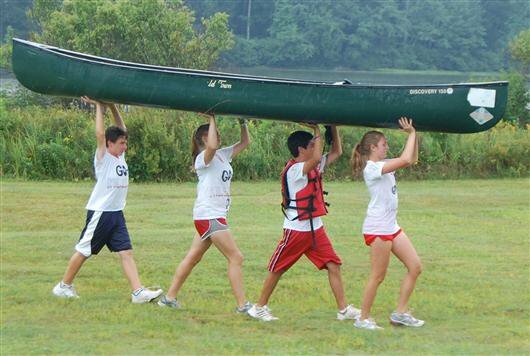 When transitioning from camper to counselor, my group of 8 friends was always there to back me up through all of the hard times as a counselor, giving me advice or just lending an ear when I needed someone to talk to. These are all of my best friends, and we have never stopped maintaining constant contact throughout the year with a group message that is constantly ringing. I am a freshman at Tulane University in New Orleans, Louisiana. 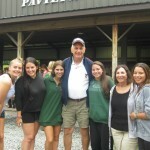 Camp has been a major part of my childhood and my transition into adulthood. 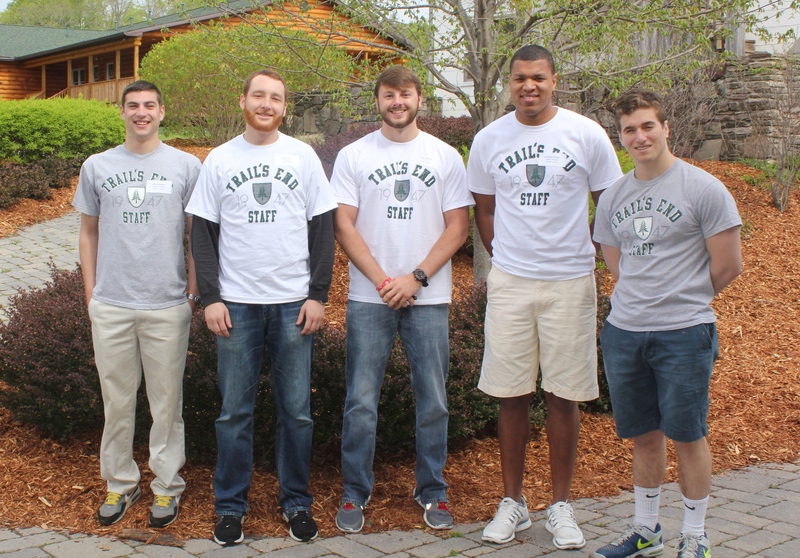 Trail’s End has shaped my views regarding friendship, leadership and commitment. 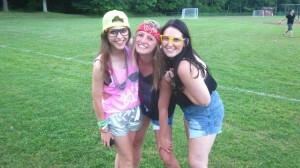 My friendships with my camp friends are indescribable. We talk non-stop over the course of the months we are apart and try and make as many visits to each other as possible. It’s difficult now that we are all in college with different semester breaks and final times, but we try and make it work. Sometimes people come into your life and you know right away that they were meant to be there, to serve some sort of purpose, teach you a lesson, or to help you figure out who you are or who you want to become. 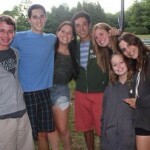 I am so thankful that I have my camp friends in my life. They are my rocks and I will be forever grateful for everything they’ve done for me and who they’ve helped me become. 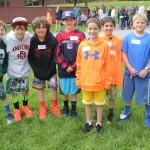 This entry was posted in Camper, News, Reunions, Staff and tagged 18405, 2014, Alumni, Camp, Camp Family, Camper, Connections, Family, Friends, Home, Olympics, Summer 2014, Summer Camp, Summer Home, TEC, Traditions, Trail's End Camp, Varsity on May 10, 2014 by Sara Fetterhoff.